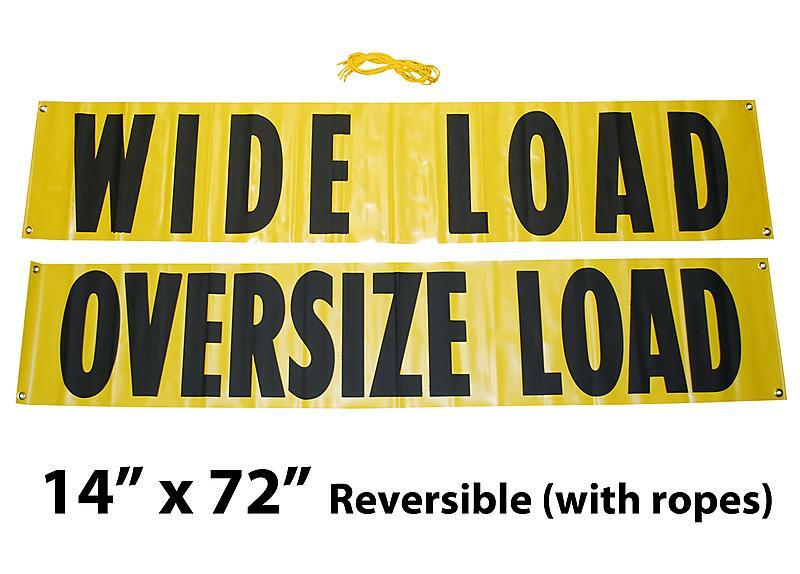 Oversize Wide Load Sign with Ropes 14" x 72"
Reversible Oversize Load / Wide Load Sign. Durable nylon with 12” tall letters. Grommets in each corner for mounting or to attach the ropes.